It seems the question is still being asked by most advisers on social media: does it actually work in growing an advisory business? Remarkably, most professionals that I meet and talk to still consider social media to be some sort of “teenager or millennial thing”, or “something which doesn’t seem professional to use”, or (and this is my personal favourite!) “something I will introduce when it achieves market acceptance”. 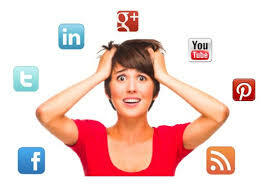 None of those reasons are valid reasons for not considering social media as part of the marketing mix. There are valid reasons for not considering it for some businesses, but they aren’t any of the ones quoted. In this weeks video we discuss whether social media is “a crock of #*^@ or whether it is something which can actually work to help an adviser grow their business….which of course I firmly believe to be true!